It’s beginning to look a lot like Christmas everywhere you go. Sparking lights and splendid Christmas trees with the most adorable ornaments glamorize every corner of the streets. Adorable Christmassy banister garlands and colorful gift stocking faithfully predict the upcoming holiday season. There are music and songs, laughter and glee, gifts shopping and shortbread cookies baking… Ah, it is the most wonderful time of the year! 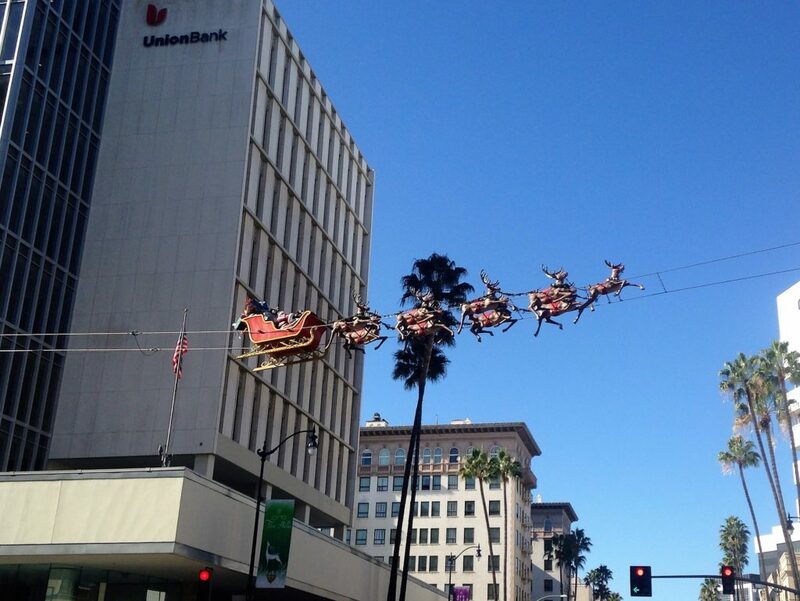 Not less wonderful is Los Angeles during this festive season. With joyful mood in the air and Christmas preparation in the full swing, the city is a true definition of joy, happiness and celebration. Without exaggeration, this is one of those destinations that you want to put on your holiday travel bucket list. From glittering lights to gorgeous Christmas trees and outdoor concerts and shows, Los Angeles impresses with its scale of festiveness and celebration. 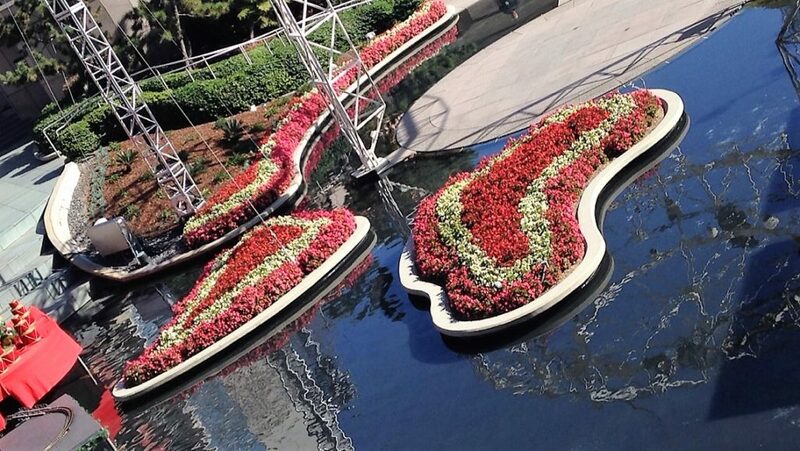 You would not expect anything less than that from an entertainment capital of the world. Without further ado, please grant me a pleasure to guide you through the City of Angels and show you the best places for your Los Angeles Christmas itinerary. Located between Winnetka and Corbin avenues, this Candy Cane Lane knows exactly what to do during the Christmas season. The eight-block neighborhood with the dazzling light displays can put even grouchy Grinch in the holiday spirit and make him joyfully take a spin around the blocks and check out the best decorations. Grab a cup of hot chocolate and join him on the exciting Christmas adventures from visiting Santa Clause and his helpful elves at the North Pole to following the brightest star that leads to the newborn Jesus peacefully lying in the manger. Dancing in the public? Not a bad idea especially when you meet a huge crowd of strangers dancing together at Universal CityWalk. Holiday music, gleaming lights and a towering Christmas tree with over 10,000 lights will bring you one step closer to the holiday cheer. The music is not limited to a pre-selected set of DJ’s favorite Christmas songs. To ignite that holiday spirit, live concerts are available for free. Check here to see daily updates of scheduled performances. Either it is summer or winter, fall or spring, the world’s most famous luxury shopping destination, Rodeo Drive, astounds the visitors with its splendor and grandeur. 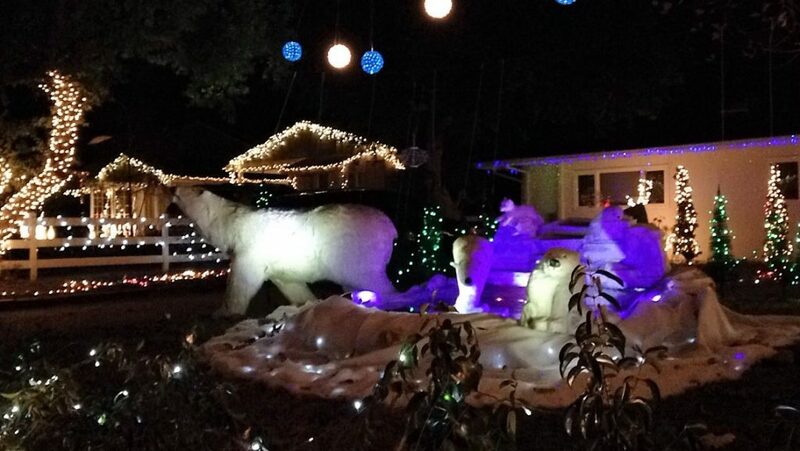 During the holiday season, however, this two-mile-long street turns into a real winter wonderland. With hundreds of thousands of lights, dazzling storefront and street displays, fabulous Christmas trees and Santa’s sleigh flying high over the intersection of Beverly Drive and Wilshire Boulevard, Rodeo Drive rightfully deserves the title of the most glamorous destination on your Los Angeles Christmas itinerary. 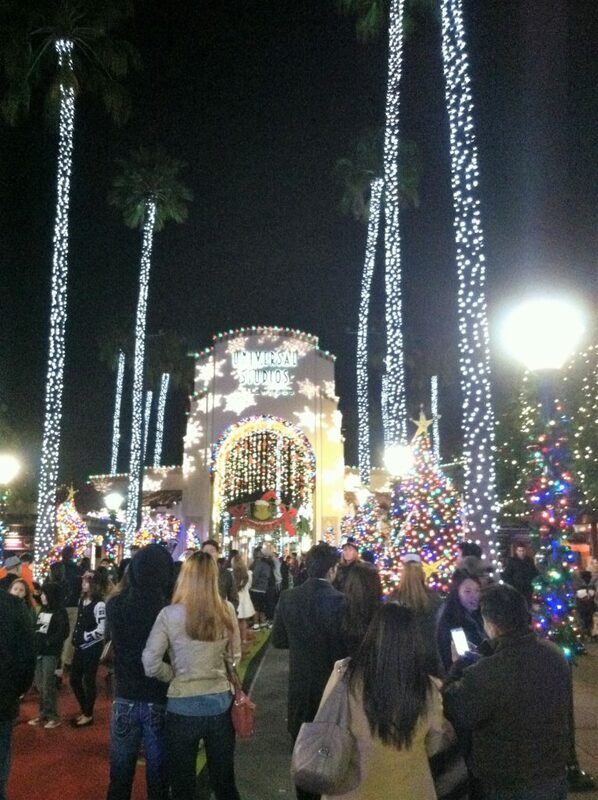 Imagine getting out of a car and stepping into a magical world of Christmas lights. Everywhere you look, everywhere you go, over 340,000 colorful lights remind you to stay merry and cheery during this wonderful time. With stunning Christmas palm trees and charming pathways abundantly brightened up by the dazzling lights, with Nativity displays in the courtyard and dozens of gorgeous Christmas trees in the visitor center, this is one of the most wonderful Christmas destinations in the city to visit. 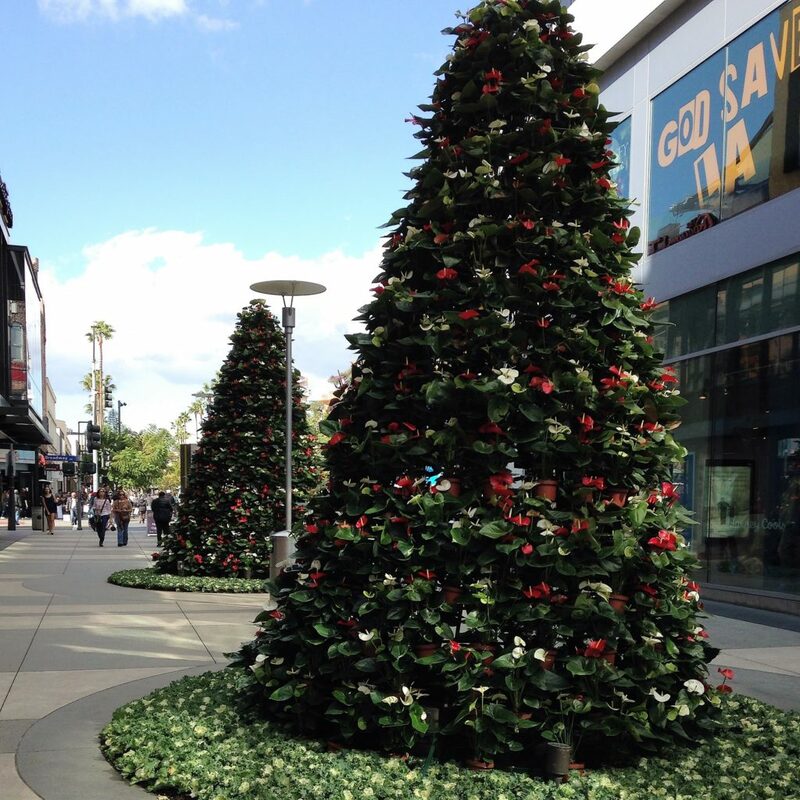 Christmas lights and shopping, live concerts and entertainment shows mesmerize the visitors of Los Angeles and make their Christmas more special. 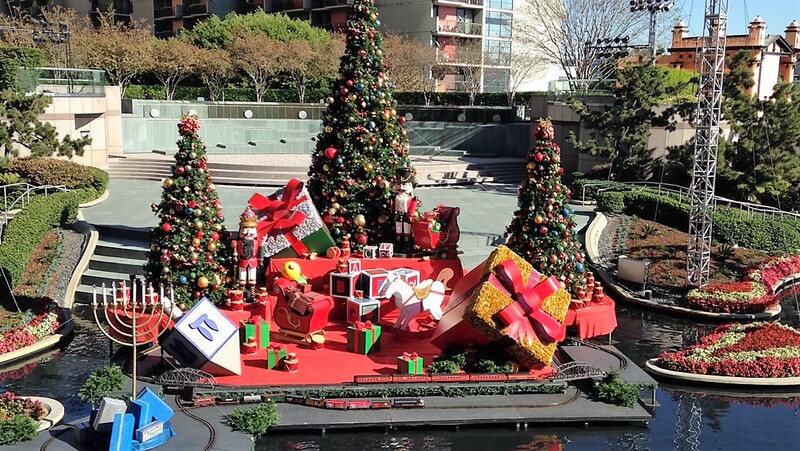 If you are happened to visit or stay in the city during this time of the year, make sure to put one or all of the above mentioned destinations on your Los Angeles Christmas itinerary and enjoy the best parts of this unique city during the most wonderful time of the year. Wow, Los Angeles is looking so festive! 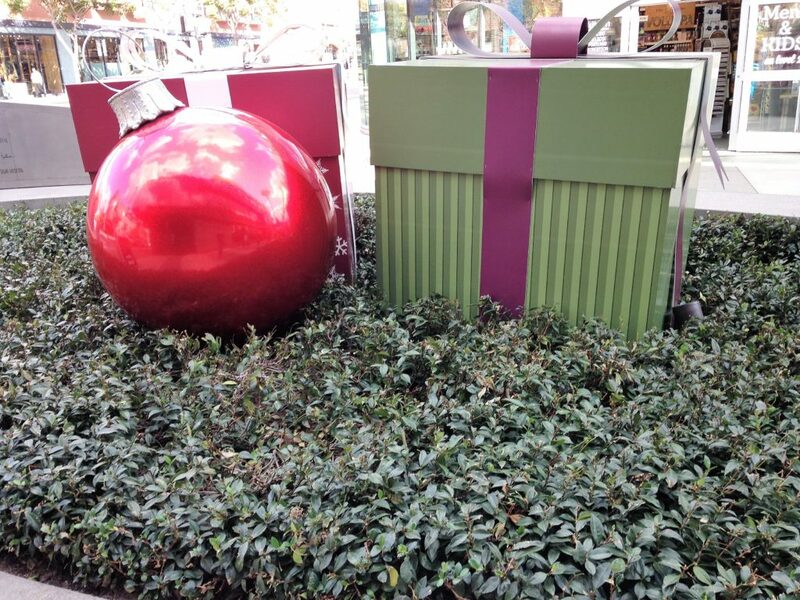 I really love all these holiday decorations! Woah there are so many activities in Los Angeles and they all looks like so much fun! Wish I could visit the different places! Heather, I am sure you can find interesting places where you live now. The place is not responsible for your happiness, you and only you are responsible for it. Enjoy your holiday season. Merry Christmas! What a fun and festive place! Happy holidays! I LOVE all those lights on Candy Cane Lane! Christmas lights are just so magical and I am so thankful to the people who are willing to put the effort into putting on displays like that haha. These all look like such fun places to check out! Yes, Susie, those people deserve a big round of applause. Generously, they bring Christmas closer to us while taking on burdens of paying high electricity bills after the season is over. It looks so beautiful!! thanks for sharing. I absolutely love this season! I cannot wait to visit LA! This itinerary seems perfect 🙂 Lovely pictures too! Thank you very much, Agness! The city is so festive and charming right now that you want to see as much as possible of it before the holidays are over. I miss LA, I was not wrong when I described this city in my latest blog post as colourful. Nice to see these current festivities going around in Los Angeles.